With the entirety of human knowledge at our fingertips, through the internet, we can learn how to fix basically anything. However, to fix something, you need the proper tools for the job. As far as mobile phones and PC’s go, the tools are not that easily found. 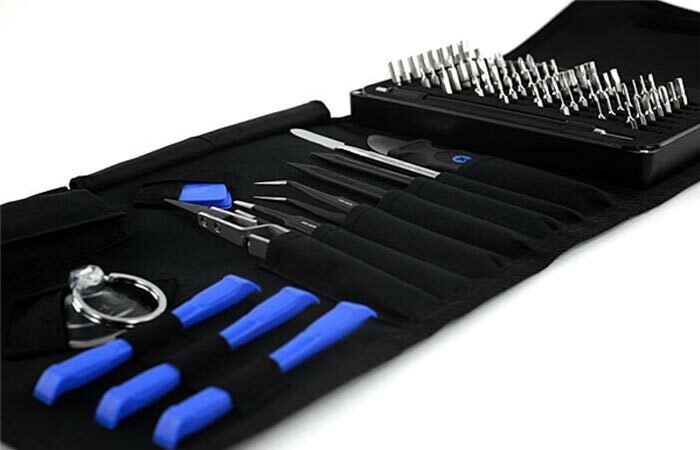 Thanks to the iFixit Pro Tech Toolkit, you’ll never have that problem again! Not only is the iFixit comprehensive, but it is also Government-Issue, and is used by some departments in the FBI and CIA. Check out the video below. 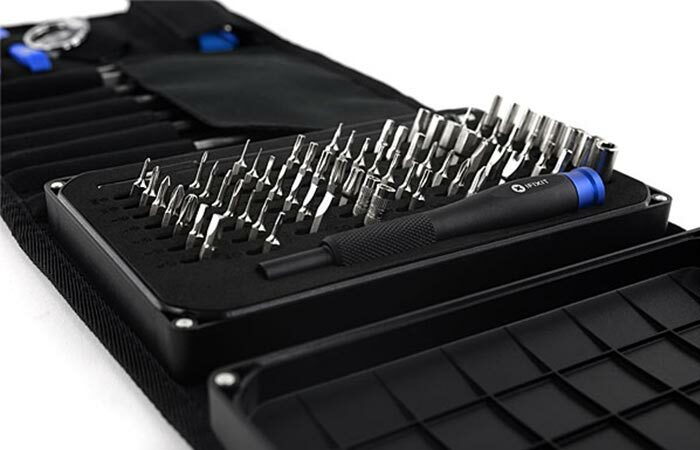 The iFixit is a comprehensive micro-electronic repair kit. It also comes with 64 different screwdriver bits. All of the tools are made from 6150 steel bits with anodized aluminum drivers. The entire kit measures 5 ¾ wide x 8 ¼ tall x 2 ¾” deep. It also weighs in at 2 lbs. All the tools that you will ever need to fix your gadgetry!